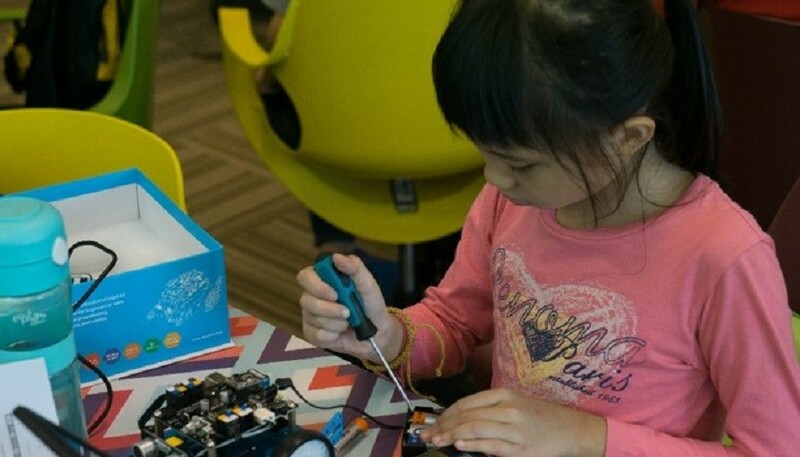 Why has Malaysia launched a ‘Maker Movement’? Exclusive Interview with the Director of Youth Community Enablement, MDEC. 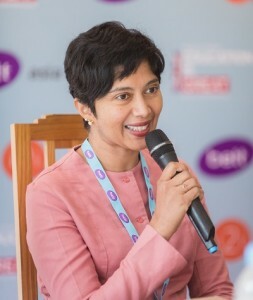 “Talent can make or break a digital economy”, says Sumitra Nair, Director of Youth Community Enablement from Malaysia’s Digital Economy Corporation (MDEC). In 2017, Malaysia will teach computer science as part of the national school curriculum. This effort will focus on three areas: teaching coding; creating after school clubs; and setting up ‘maker hubs’ across the country. MDEC has worked with the private sector to shape these initiatives, and “now the ministry officials and lecturers are teaching it to the teachers”, she says. GovInsider spoke with her to find out more about the plan. Teachers across the country are preparing their computer skills for the rollout of a new curriculum. Around 9,000 educators will learn programming languages like Scratch or Python to teach secondary school students, while those teaching in primary schools will be exposed to computational-thinking skills like algorithm, sequencing, troubleshooting and problem-solving. “These can be taught unplugged, or if they’re taught via computers, they will learn some basic programming languages”, Nair says. After school clubs are the second part of the plan. “We are working with ministries in the co-curricular division to develop modules that computer clubs can take and work on projects”, Nair says. In the past, computer clubs had “unstructured” modules, because “it could just be students browsing through the net”, she says. Now they’ll have full government support, with officials “providing modules on the different kinds of makers skills”. The clubs will lend a practical element to the coding classes. “The focus is not so much using technology for the sake of using it, but it is to use it in a way that makes them more creative”, she says. For example, there are modules to use microcontrollers like Arduino, or tiny computer systems like Raspberry Pis.“The programme that you write gives instructions to a small motherboard, which you can then embed into anything” – from a piece of furniture, a car, or a vacuum cleaner. Universities have also been roped into the initiative, which is a comprehensive national push across all tiers of education. “We have got around a dozen universities to date, which are sending their undergraduates into schools to support these activities”. Some of them may even help teachers out during class lessons, she hopes. The third part of the plan is to set up ‘digital maker hubs’ to “to reach out to a wider community”, Nair says. It is hoped that pupils’ enthusiasm will rub off on others in their communities, encouraging a nationwide adoption of technology. Organisations like Sasbadi, Vex robotics and Young Innovate run regular competitions, allowing students to go the hubs to use the 3D-printing facilities and robotic kits, and they will receive support from the hub operators. “We’d love it to be open to as many people”, she continues, because an awareness will help her team pave the way for change. So far, there are 14 hubs in suburban areas across states in Malaysia, and Nair wants to grow the number to the hundreds over the next five years. Some “advanced” schools have volunteered to share their own centres with other schools in the community. The agency is working with local science centres, NGOs and private firms to scale this. However, not all facilities are free, she says, because “most of it is run by universities or private entities”. This three step plan represents a nationwide push to build tech skills and enthusiasm. It also demonstrates how the education sector can support all members of the community. “We are putting the pieces together, and hopefully it will form into something which is going to be yielding results in the coming years,” Nair says. The students will build new technologies and tools – but it’s up to the schools to build the makers. Elsewhere in Asia: Singapore is using robots in pre-schools, while the Australian Government invested US$2.5 million to teach coding in schools last year.